One of the most important things we must do is keep in sight the vision of what we want to achieve for a better world, and of the possibilities we strive for. And to not forget. 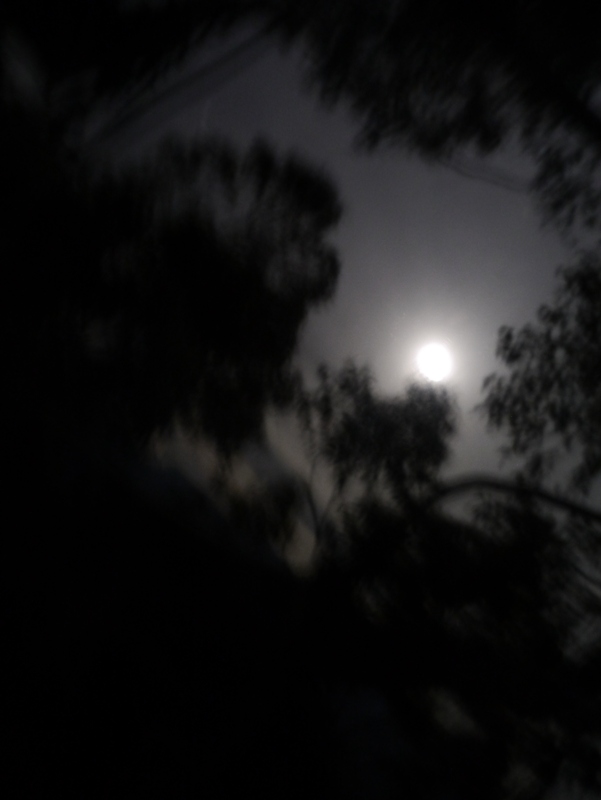 I look out across the forest tonight, the moon shining through the silvery leaves of the branches above me. The quiet of the forest all around, broken only by the “boo-book boo-book” of owls and the occasional rustle of nocturnal animals on the forest floor. I am reminded, as I am everyday, that this is the epitome of what this campaign is all about. It is about these ancient ecosystems being given a chance at peace. Real peace. Not peace with a subheading “durability” and a fine print declaring an end to all open public discourse. No, I mean the kind of peace that sounds like Boo-Book Owls in the night, the kind of peace that sounds like the absence of chainsaws and axewackers. The kind of peace that means that the Tasmanian Devil pups out there in their dens tonight will live another day without being crushed by the mighty weight of logging machinery. It is up to us to remember this. It is up to us to remember that this so-called conflict is actually a simple fight for survival for these irreplaceable ecosystems. It is up to us to remember the whole picture of these forests. Of the global scale of destruction. Of the absolute need to protect these areas before it’s too late. There is no longer room to compromise. For decades these forests have been destroyed. Year after year, at an ever-increasing rate, piece by piece the industry has carved up much of Tasmania’s landscape. Now we are left with the last remaining tracts of old growth, and a moment in history where we must choose to protect them, before it’s too late. Sadly we are 30 years too late for compromise. Now, we must act to save what is left. It is up to us to remember that this fight must be about more than just this forest here, this tree. It has to be about the impact of the industry right across the State and, in fact, across the world. It is up to us to remember, and to remind those who never have – or no longer do – walk through these forests, of how it truly feels to experience the eerie post-apocalyptic landscapes of the clearfells that hold the ghosts of once mighty forests. It is up to us to remind those who walk in the halls of power, whether they be politicians, industry representatives or representatives of big environment organisations. They must be reminded of what is at stake, in Tasmania and around the globe. I say this because tonight I watch over this forest with a great sense of sadness. Sadness for having to write about a topic that is harder to write about than any other. It is harder to write about this than it is to write about the chainsaws. I don’t want to be divisive, I don’t want to criticise other people who have spent their lives trying to protect these forests. Nor do I want to be patronising and say that I know any better than anyone else about the right way to protect these forests. But I need to be honest and say that I feel sad, and that I want to just put out there, into the world, this reminder. 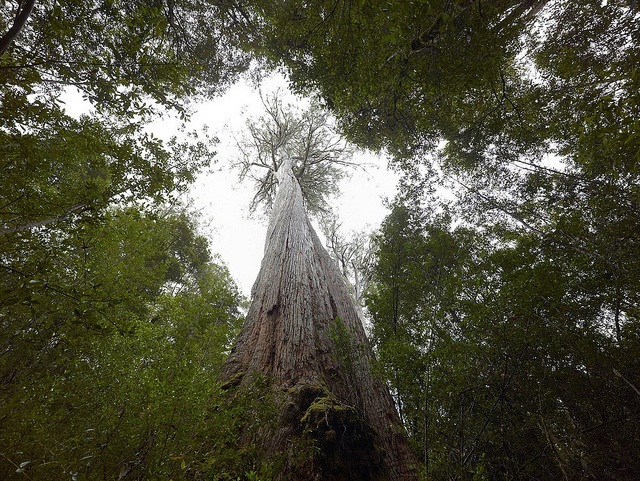 This week the environment groups involved in the Tasmanian forest negotiations announced that they will travel to Japan to talk to the corporate customers of the timber company Ta Ann. Vica Bayley from The Wilderness Society, and Don Henry from the Australian Conservation Foundation, will go to Japan not to tell these companies about the fact that forests like the one I am living in are still under threat from logging, and that Ta Ann are still driving such logging. No, instead, these environment group representatives will be walking in to these meetings side by side with representatives of Ta Ann. They will be there to convince Ta Ann’s corporate customers that everything is okay. Don’t worry, just go on and keep buying this wood product that is fueling the destruction of our forests. Keep on buying Ta Ann’s mis-named “eco-ply” even though it is made from the very forests that are still awaiting protection. The very forests that are coming face-to-face with the chainsaws, still. Sadly, not one hectare of forest has been placed into formal reserves through this agreement so far. Logging continues to this day and is set to continue in world heritage value forests, with no end in sight yet. How is it that this process of trying to find so-called “peace” has lead to this? A green tick of approval for a company that has not even made any changes to their practises yet? A green tick for an industry that is still clinging onto the ongoing wholesale destruction of native forests? The only thing we have seen so far is an ever increasing propping up of outdated industry models such as clearfelling, cable logging, woodchipping – a.k.a mass scale environmental destruction. Would you want to buy a product labeled environmentally friendly if you knew it came from the destruction of ancient forests, or would you want to know the truth? Customers deserve honesty. They deserve to know when a company really deserves a green tick and when it doesn’t. In my books, the destruction of world heritage value forests does not earn them the right to that tick. Of course, Tasmanian forests are just one part of this story. Ta Ann do not operate in a global vacuum. We cannot just ignore Sarawak and pretend it will go away. Perhaps the industry would like to. But this is where we come in – we, the community, must speak up. We must remember the whole picture. We can not forget about the people in Sarawak, whose forest homelands are being destroyed, whose communities are being displaced. We cannot forget that wood from these forests is sold by the very same company that is now proudly walking side by side with environment groups here in Australia. It is our job to remember, because we cannot expect politicians, big business, corrupt companies, or even big environment groups to do it for us. The community must stand up, for the forests, and in solidarity with communities in Sarawak. We must say enough is enough: the forests need to be protected. It is a sad day indeed when some environmentalists are willing to back up a company that is driving the logging of world heritage value forests. It is a sad day for those of us who have been working hard to keep the pressure on Ta Ann and to communicate the community’s concerns to the corporate customers. It is a real disappointment to see that work being undermined. As soon as we take the pressure off timber companies like Ta Ann there is no incentive for them to make any real change. Once they have a green tick of approval from the environment movement, why would they need to? And that is why I believe it is absolutely critical now more than ever that we do not take the pressure off. We need to continue to remind the corporate customers of Ta Ann that the forests are still falling. If we don’t we will risk having nothing changed, and Ta Ann will get away with continuing to profit from the destruction. Please, take a moment to sign the cyber action and remind Ta Ann’s customers that what is needed is real forest protection. Posted on January 25, 2013, in Daily Blog. Bookmark the permalink. 9 Comments. Dear Miranda, no wonder you have a heavy heart and are sad, I am shocked to read that Vica Baley and Don Henry are doing this, is it a form of reverse psychology? what is their reasoning, I have looked up to these men in the past admiring their work for the environment. Keep up your good work Miranda and try not to have this awful set back affect your fight for the forests in Tasmania and the rest of the world, you are loved and admired by many, many, people, as I have said in the past, take care brave lady, sending positive thoughts your way. Thank you for your wonderful description of the forests and for maintaining the credibility of the environment movement where others are compromising their principles. I am walking around with a solid knot in my stomach! And deep sadness in my Soul. The news on the front page of the Mercury that Vica and Don are heading to Japan hit me like a ton of bricks. To encourage Ta Ann’s customers and shareholders to stay loyal to Ta Ann? And lobby banks and Harvey Norman and Bunnings to keep financing and buying wood supplies from Tassie’s forests???? In my mind this is not right! Especially with what happened in the Sarawak region and with the Penan people. Ta Ann has a lot to answer to and be held responsible for; the loss of livelyhood and ecocidal and unsustainable practices in Sarawak! I’ve been aware of and supporting Bruno Manser from the mid 1980s while still living in Europe and for me it was a crash course in understanding the ecocidal and genocidal practices of big logging companies like Ta Ann and worldwide, the plight of Indiginous peoples losing all that they had and knew. Now we all know thanks to social media sharing what has happened in the Amazonian and Indonesian rainforests. Despite the many dedicated people raising awareness and trying to halt the relentless war against our natural world and ecosystems, the ecocide goes on. And that is what I feel around this forest agreement. Not only are we desperately lobbying to ‘change’ the logging practices and secure protection and World Heritage status for Tasmania’s magnificent forests but it seems to me that in this process the logging industry is getting protection too. I know they are powerful and there are many wood hungry corporations and multinationals who still have no consciousness and only see $$$ in Old Growth forests. To see the Wilderness Society and the Conservation Foundation make this move that is entirely against their own ideology, is a bitter pill to swallow for me. And all in the name of a ‘peace deal’ for the forests? Maybe they had no choice under huge pressures from government and industries but I still believe Ta Ann is guilty of Human Rights abuses against the Penan people and could be for the disappearance (murder?) of Bruno Manser. The knot in my stomach will stay there for a while, these are sad times. I share this with you Miranda. Thank you for your compassion and your gentle and well thought through words. I’m with you in perseverance and love for the last wilderness places on Earth. We support the letter, we have signed the letter, we support The Observer Tree, we are not going anywhere, we are here for the duration! Happy Australia Day Miranda, may you receive the accolade one year! You and Jonathan Moylan, of ‘Front Line Action on Coal’ (currently to save Maules Creek Koala habitat in the Liverpool Plains) would do well to have a chat. I’ve posted the Bimblebox documentary to you as an MP3 on a USB stick. It should play without trouble on your computer. Hi Miranda, I am with you on this. I was horrified to hear what I call a sellout by The Wildo’s etc. I wondered whether Vica is angling for a political career.Their action is NOT acceptable! Is there no-one else out there in these groups with your honesty, committment and integrity?I felt from the start that they were selling us out in the north when it came to true support aginst the proposed pulp mill, now I know they were wriggling on more issues. I am sad but I am also bloody angry!!! Hi Miranda, perhaps you could speak to the lads and see if you can influence the IGA process, a process where give and take is required?